Posted on July 21, 2015, in Uncategorized and tagged Children, Doodlemum, Drawing, Family, Illustration, Pen and Ink, Sketchbook. Bookmark the permalink. 8 Comments. My kids do this too! One of my brothers would never, ever eat cooked cake- but he would eat the whole bowl of raw mixture if you let him! 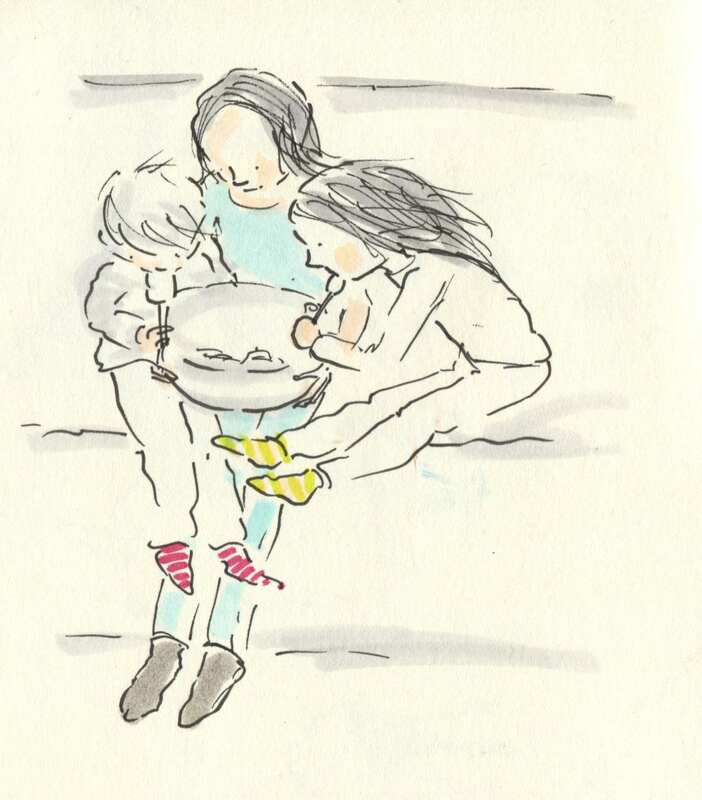 (yes, yes, I know about salmonella, but none of us ever caught it).Is that the Marvellous Millie, holding the bowl for her younger, stripy socked siblings? What a sweetie! I am love your doodles. My brothers and sisters and I would race to get the mixing bowl after mom had poured the batter in the pan. If dad didn’t beat us to it we got to share and there were a lot of us. Yuuum! The batter is sometimes even better than the cake! Yes ! My children like to help bake cakes but even more to lick thebowl and spoon!